Barr's disclosure came as he was being questioned by Sen. Jeanne Shaheen, D-N.H., about his plans to investigate how the probe began into Russian meddling in the campaign. Attorney General William Barr told a Senate panel Wednesday that “spying did occur” during the 2016 presidential campaign as he testified about the Mueller report and the origin of the Russia probe. Republicans and President Trump have pushed for an investigation into allegations of possible misconduct by the FBI and counterintelligence during the presidential campaign. Barr has said he will follow up. Sen. Mark Warner, D-Va., the vice chairman of the Senate Intelligence Committee, later criticized the suggestion of spying in a tweet. During the Senate hearing, Democrats pressed Barr on several issues related to the release of the Mueller report. Sen. Jack Reed, D-R.I., also followed up on the allegations of possible misconduct by federal officials during the Russia probe. “Have you any evidence that there was anything improper in those investigations?” Reed asked. “I have no specific evidence that I would cite right now. I do have questions about it,” Barr said. 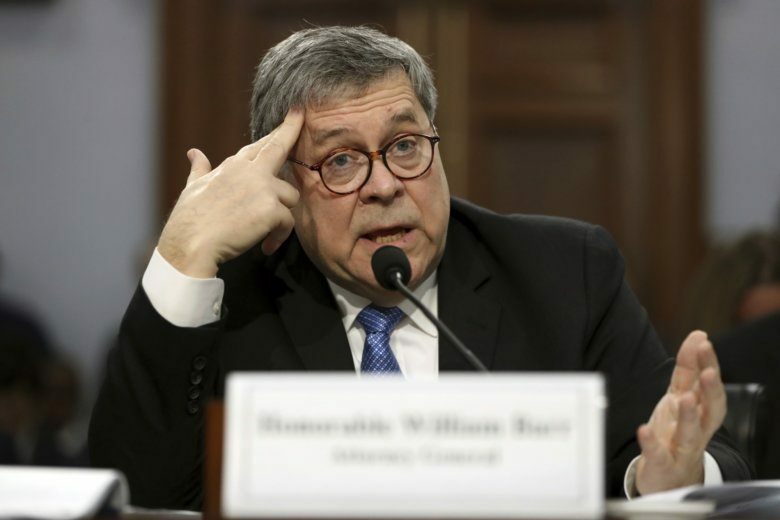 Barr, as he did before a House panel on Tuesday, said he still plans to turn over a redacted version of the Mueller report to Congress within a week. But several Senate Democrats raised questions about how Barr had handled the report and the summary they received last month. During an exchange with Sen. Chris Van Hollen, D-Md., Barr said he didn’t know whether Robert Mueller supported his conclusion that the report didn’t have enough evidence to determine whether President Trump obstructed justice. Barr responded that he would give his reaction after the report is released.